Today is such an amazing day! You know why? Well, obviously, you read it in the title and know that today is COW APPRECIATION DAY! WHOO HOO! Most normal people wouldn’t get excited about this, but I really do. Cattle are my passion, my livelihood, and are apart of many happy memories. 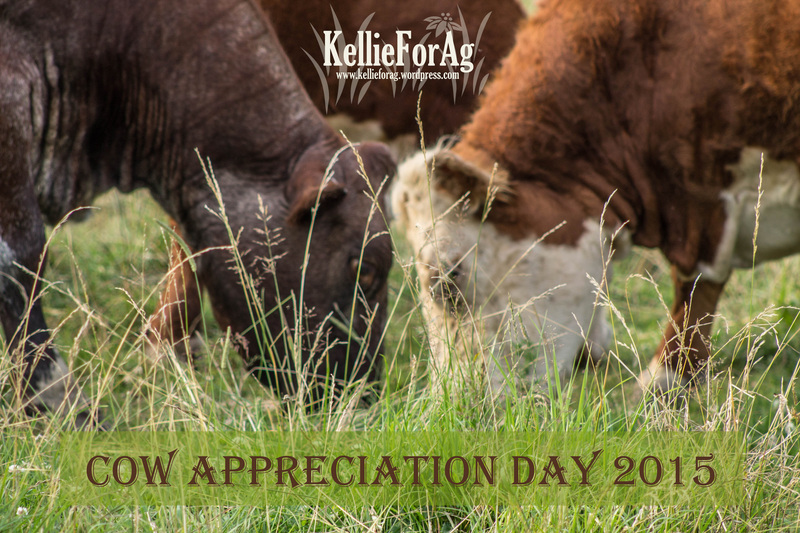 So why should we appreciate cattle? Well let me just give you 5 quick reasons. 1.) They provide us with amazingly delicious beef products. Sirlon, T-Bone, Ribeye, Rump Roast, BURGERS, and Ground Beef are just a few of the things that I enjoy! 3.) How could we have a bonfire without cattle? They are the most essential part to the s’more and you can’t have a s’more without marshmallows! 4.) They give us ice cream. How could you NOT appreciate them for that. Thank you cows. Thank. you. 5.) They help feed this world. But no one cares about that, so ummm, they help keep our tummies full with delicious and various food! See what I mean? Cows are amazing. Do you have any other reasons? Let me know! I love to hear about why you love cows!